If you have a severely damaged or missing tooth, you need restorative dentistry to repair your smile. Dr. Jamie Guthrie provides high quality care at our Ardmore dental practice. 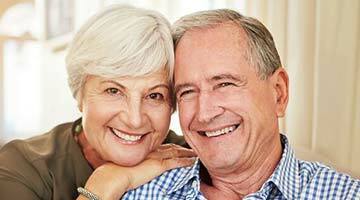 Bridges and dental crowns in Ardmore are a long trusted solution for a number of issues. Keep reading to learn more about the popular treatment, then schedule an appointment with the most trusted dental team in our area today. A dental crown is a restoration that improves or enhances the size, strength, and shape of a damaged or missing tooth. It can be made of all-ceramic, porcelain fused to metal, zirconium, gold, or metal alloys. A crown is often referred to as a cap, as it fits securely over the affected tooth. A dental bridge is a restoration that fills the gap left by one, two, or several teeth missing in a row. It uses the two teeth surrounding the gap as anchors for the prosthetic teeth (pontics) that fill in the space between. In addition to restoring your ability to eat, speak, and smile with confidence, the dental bridge prevents the natural teeth from drifting out of place and causing orthodontic issues. A fixed bridge is cemented into place and cannot be removed for cleaning. If you need a crown, we have good news: one-visit dentistry for crowns is possible at Dr. Guthrie’s office! We have invested in CEREC technology to improve the efficiency with which we complete restorative dentistry procedures. CEREC uses CAD/CAM (computer-aided design and manufacture) technology and a milling machine located in our office. With this setup, your dentist can plan for, manufacture, and apply your dental crown in just one visit to our office. CEREC integrates digital scanning for a more comfortable experience overall. How Do I Care for a Crown or Bridge? After you have received your dental crown or bridge, maintain good dental hygiene to keep your remaining natural teeth healthy and your gums disease-free. Cared for properly, your restoration can be expected to last for many years. Continue to brush for two minutes, twice a day and floss daily (at least) to prevent the buildup of harmful plaque and tartar. Visit your dentist regularly -- we will continue to check in on the strength of your crown or bridge in follow-up appointments to ensure it functions just like it should. Are you dealing with an aching or damaged tooth? You may benefit from a dental crown or bridge! Dr. Guthrie is the dentist in Ardmore providing superior restorative care. He’s the one you’re looking for when you search “dentist near me,” so don’t wait -- schedule an appointment today!